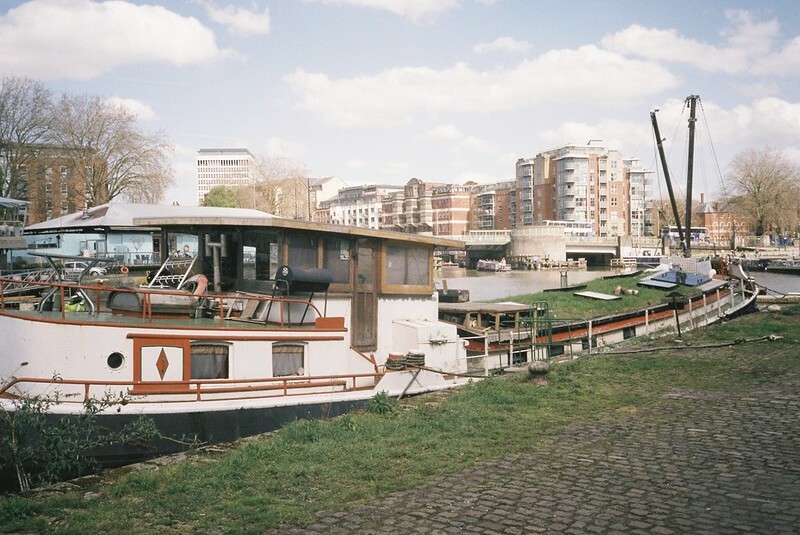 This week’s podcast is a mini-episode, just ten minutes long, and it’s all about the auction that’s running until 4th March 2018, on Bristol’s Floating Harbour. Every two years the Harbour Master’s office runs a salvage auction, of boats that, for one reason or another, they need to remove from the Harbour. 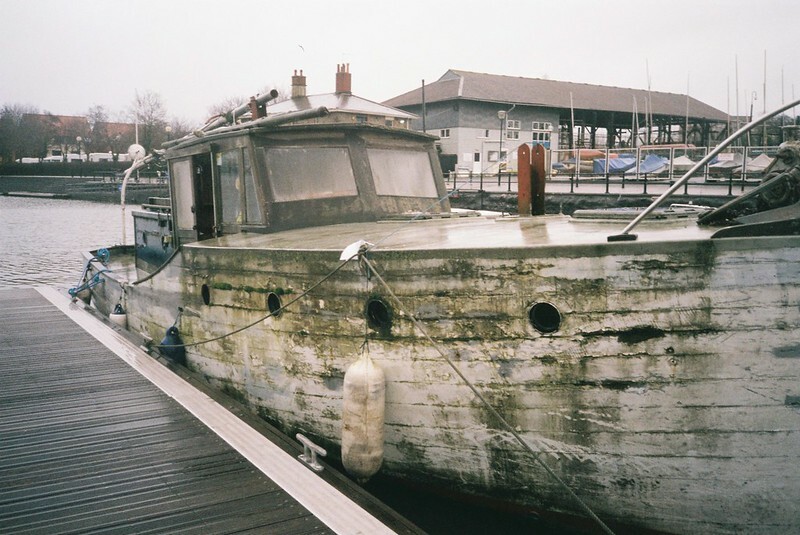 They might have been abandoned; or they could have been seized as a last resource because their owners didn’t pay their Harbour fees; or in at least one case, the owner didn’t want the boat any more and rather than try to sell it himself, gave it to the Harbour Master. There are kayaks and dinghies, sportsboats, a narrowboat and much more, in all kinds of stats of repair. All the proceeds go into the maintenance of the Harbour, and it’s a chance to buy a boat for what’s likely to be a fraction of the usual cost. I talked to the auctioneer, Graham Cockle, about what’s in the 2018 auction, and more about why it’s on. If you want to have a look at the boats yourself, even if you (think you) don’t want to buy one, the boats are on public view every Saturday and Sunday in February, from 10-4 on and around the pontoon between the Cottage Pub and the Underfall Yard. And you can also have a look at my rainy photos of some of them, below (mouse over or click on the photo to get to the slideshow – or go directly to the flickr album). The Cumberland Basin to Ashton Gate road system is this complicated tangle of roads passing above and below each other, with endlessly confusing ways over and through it for cars and pedestrians alike. It’s generally seen as a brutalist concrete nightmare, but back in the 1960s, when it was built, it was seen utopian and futuristic, full of exciting new ways to live in a city, with vibrant spaces and an urban park. These included a market place and piazza on the Northern edge, a service station, a new hill, playgrounds under the roads, and of course, the viewpoint up the River Avon to the Clifton Suspension Bridge, all designed by Sylvia Crowe. Despite having no formal schooling after leaving school at the age of ten due to TB, Crowe was an important British twentieth century landscape architect, working on everything from vast Forestry Commission schemes, New Towns, power stations and reservoirs, down to private gardens. These Bristol spaces must have been incredible to see at the time, with a giant fountain spraying up between the raised lanes of traffic, and a nautical-themed playground overlooking the Entrance Lock. The problem was that no one had predicted how fast car ownership would increase, turning what were vibrant spaces into discarded concrete no-man’s-lands. Sylvia Crowe Cumberland Basin Bridges, Landscape Plan. Coloured up by Wendy Tippett, with our Avon Stories walk marked up in red line. Ref. Landscape Report, Cumberland Basin Bridges & Ashton Gate Junction, April 1964, University of Bristol Library. Landscape Architect Wendy Tippett took me walking through the northern parts of the road scheme, and told me about how the spaces would have looked in the 1960s, including the design elements that are taken for granted these days, and why, ultimately, it failed. You can join us on the podcast we recorded on the walk, with photos and lots of links to old photos and plans below. Sylvia Crowe Cumberland Basin Bridges & Ashton Gate Junction, Aerial View. Ref. Tippett, W., Unloved Landscapes Dissertation, 2014. Wendy Tippett is the Landscape Director at Andrew Kenyon Architects in Bristol and Conservation Trustee of Avon Gardens Trust, and you can follow her on her twitter. I highly recommend her guided walks, they made me see familiar spaces with new eyes – if you’d like to arrange one for a group, or talk to her about Sylvia Crowe’s work in Bristol, you can contact her on wendy [at] andrewkenyonarchitects [dot] co [dot] uk. If you’d like to know more about Sylvia Crowe, there’s a brief biography on the Landscape Institute website, and there’s a description of the Cumberland Basin site on Parks and Gardens. 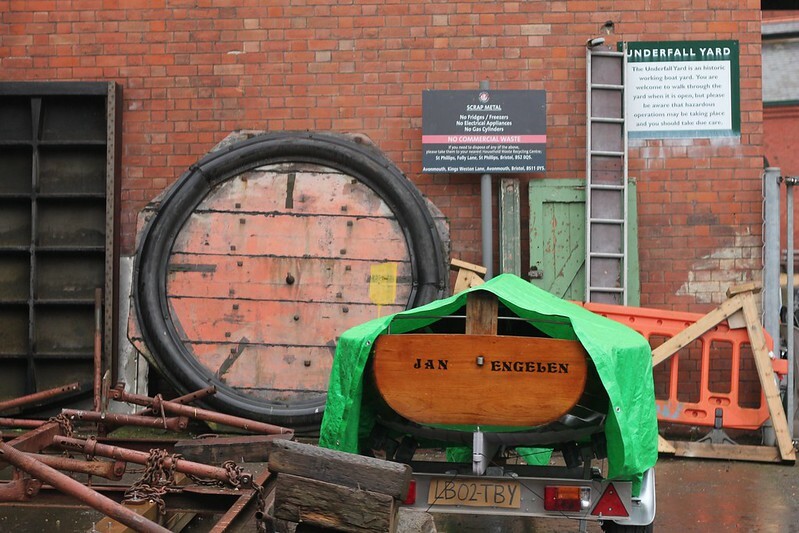 Since we recorded this podcast, Bristol 24/7 has reported that there are plans to sell off and re-develop a lot of the site, so this is likely to change again in the future. I retraced the walk Wendy took me on in December, and my photos (DSLR, 35mm and 120 film) are in this flickr album – click on the first photo and a slideshow should start. I’ve been blogging walks I took in November, and there were some glorious sunny days, but I need to remind myself, most of it looked like this. Actually I’m lying. That looks picturesque, and most of November was too grey and drizzly and nasty to even get the camera out. Days where the sun never seemed to rise, and the rain wasn’t heavy enough to be good for puddle photos, but was somehow the kind where every drop soaks down to the bones, freezing as it goes. 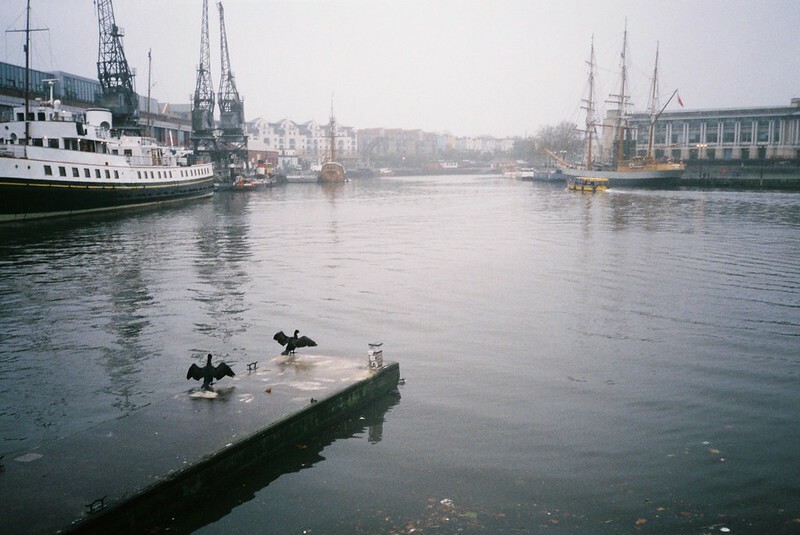 I’m sure that cormorants live on other rivers, in other cities, but they feel so Bristol to me. I’ll never stop grinning at them looking like miniature pterodactyls, or overgrown vampire bats. Definitely worth standing in the rain for a photo! 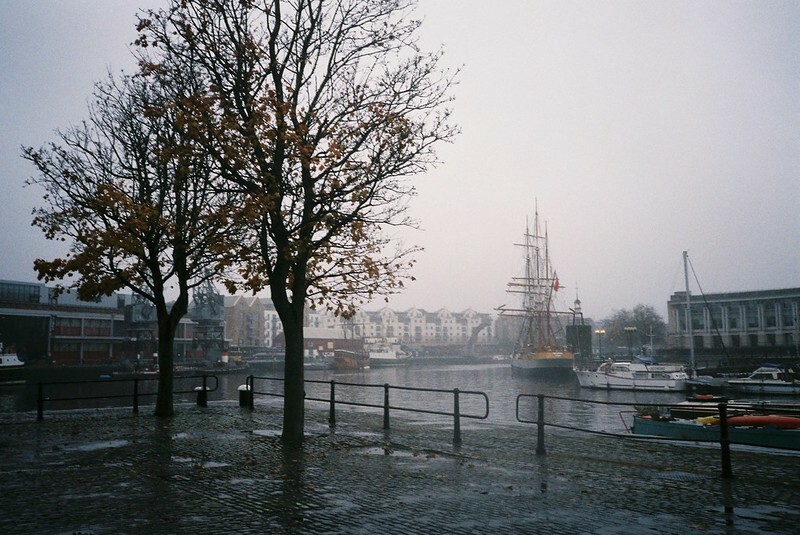 One of the main features of Bristol is the Floating Harbour that meanders through the city, lined with boats, from tatty barges to three-masted sailing boats, right up to floating nightclubs and restaurants. But did you know that in the late 1960s there was a plan to close the Harbour to navigation, and build giant roads over it? And that a City Docks Act was passed in Parliament to make it possible, and it was only the global recession of the 1970s that prevented it? Richard Holden worked in the Planning Department at Bristol City Council for 36 years, and he told me all about that, what would have happened if the road plan had happened, and more of the stories about the Harbour, including how the M Shed cranes were saved. We also talked about the good, the bad and the ugly in Planning, how some of the developments came about, and how the best Planning work is essentially invisible. He also told me about the current threats to the Harbour – nothing as extreme as a giant road, but developments that really do risk destroying some of the wonderful things that are emblematic of the city. Scroll down for what everything can do to try to prevent these, and other, threats. Richard sent me some photos of what parts of the Harbour looked like before redevelopment, and I’ve put them on this map, under the red icons, along with pictures I took about places we talked about, which you can also see in this flickr album. Of course, you can find all kinds of other photos of the Harbour in the past on the Know Your Place website, and there’s more about that in my first Avon Stories podcast.